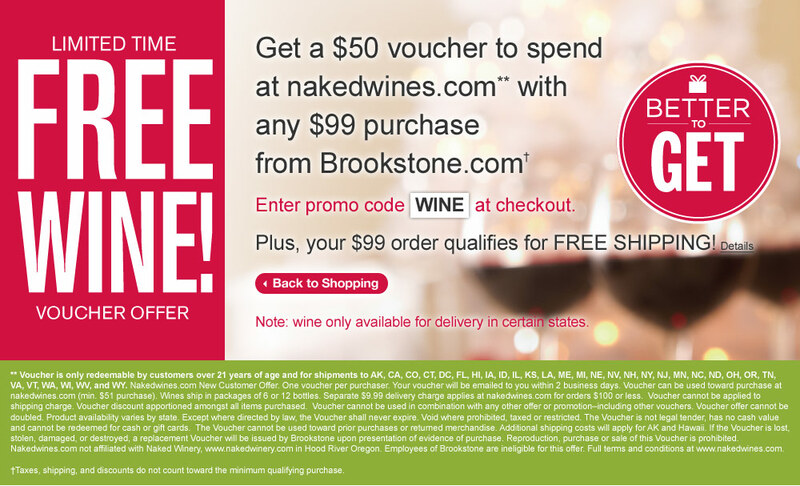 $50 Naked Wines voucher PLUS Free Shipping with your $99 purchase at Brookstone.com! Enter code WINE at checkout. Offer valid while supplies last. See site for details. With all the holiday shopping and chaos, I enjoy a glass of wine every now and again. Brookstone wants to reward its customers with a little libation this holiday season. 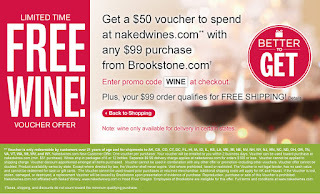 With the purchase of $99 you will receive $50 worth of FREE Wine from Naked Wines. I know where I'm shopping today!